COLUMBUS — Car crashes remain a leading cause of death for children. Proper use of child safety seats can reduce a child’s risk of death by up to 71 percent, but at least three quarters of seats are used incorrectly. One of the biggest mistakes caregivers make is turning car seats forward-facing too soon. In conjunction with Child Passenger Safety Week (Sept. 23-29, 2018) AAA is urging caregivers to keep their children rear-facing as long as possible. The American Academy of Pediatrics (AAP) previously recommended children remain rear-facing until age two. On Aug. 30, 2018, the AAP announced new recommendations to keep children rear-facing as long as possible, until they reach their seat’s upper height and weight limits. 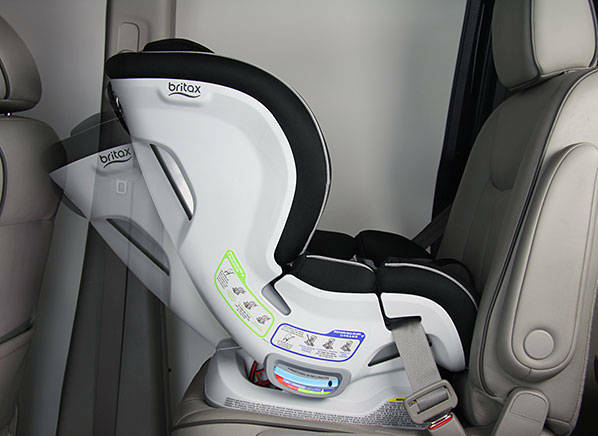 Rear-facing seats support a child’s head, neck and spine, which are the most vulnerable parts of the body. Toddlers’ heads are disproportionately large and heavy. When they sit in a forward-facing seat, the harness straps restrain their bodies, but their heads are thrown forward in a crash, increasing the likelihood of spine and head injuries. Data shows rear-facing seats significantly reduce infant and toddler fatalities and injuries in frontal and side-impact crashes. A recent study from The Ohio State University Wexner Medical Center found that rear-facing seats are also effective at protecting children in rear-impact crashes, which account for more than 25 percent of all crashes. Always read the car seat manufacturer’s instructions and vehicle owner’s manual. Keep children in rear-facing seats as long as possible – until they reach the upper weight or height limit of their rear-facing convertible seat. Once they outgrow their rear-facing seats, children should use a forward-facing child safety seat until they reach the maximum weight or height for the harness. A booster seat is recommended until a child is 4 feet, 9 inches tall. Move children to adult/lap shoulder belts when they are at least 4-9 (which usually happens between ages 8 and 12) and vehicle safety belts fit properly. The back seat is the safest place for all children under 13 years old. In an effort to keep all children safe while riding in the car, AAA Ohio Auto Club offers free car and booster seat checks by appointment for all parents and caregivers at participating stores. For more information and to find a location, visit AAA.com/CarSeat.